World-renowned Irish historian and prolific author Professor Christine Kinealy is founding director of the Ireland’s Great Hunger Institute at Quinnipiac University, a scholarly resource for the study of the Great Hunger. 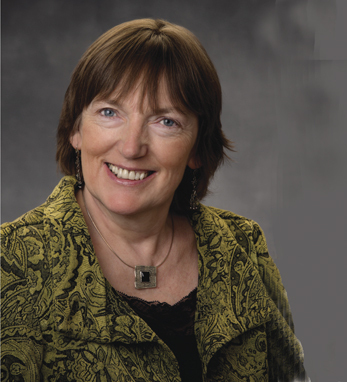 Beginning with her Ph.D dissertation at Trinity College on the Irish workhouse system and continuing with her breakthrough book This Great Calamity: The Irish Famine 1845-52 (Irish Post Book of the Year 1995), Kinealy has been an influential authority on Ireland. Her most recent book, The Bad Times, is a graphic novel aimed at telling the story of the Great Hunger through the young characters who experienced it. Kinealy’s daughter Siobhan was born in Dublin, while her son Ciaran was born in Belfast. They both now live in the U.S. and all three remain committed to preserving Irish culture and history in the U.S.